Pets at Home join in with #GSPCAPurpleWeek are you? Pets at Home are involved with #GSPCAPurpleWeek. Pop into Pets at Home to see a table of goods on sale in aid of the GSPCA, donation tins, posters and information of rabbits looking for homes. Steve Byrne GSPCA Manager said "It's our 146th celebrations and it is wonderful that Pets at Home are getting involved and supporting us." "They have a range of seals, cats and bugs on sale as well as posters and donation tins to help raise funds for the 500 animals at the GSPCA." Tomorrow starts #GSPCAPurpleWeek are you involved? Tomorrow is the first day of the #GSPCAPurpleWeek , are you, your school, business or group getting involved? Here's lots of great ways to get involved. The GSPCA was founded in 1873 and to help celebrate 146 years caring for animals in Guernsey we are asking for your help. It is also a very special year as we celebrate 90 years being at our current address on Rue des Truchots in St Andrews. It's only a week to go to the GSPCA annual Purple Week, are you, your school, business or group getting involved? The GSPCA week starts 8th February and celebrations will carry on until the 15th with our anniversary being Valentines Day the 14th February. From all the GSPCA we wish a Happy Valentines to one and all and did you know we share this day of love as the GSPCA celebrates 144 years helping animals in Guernsey and we need your help. The GSPCA was founded on the 14th February 1873 and we are asking for your support to help the 24/7 work we carry out here at the GSPCA. Not only do we care for around 350 animals a day at the Shelter we have many essential projects we need to achieve and many animals to care for. 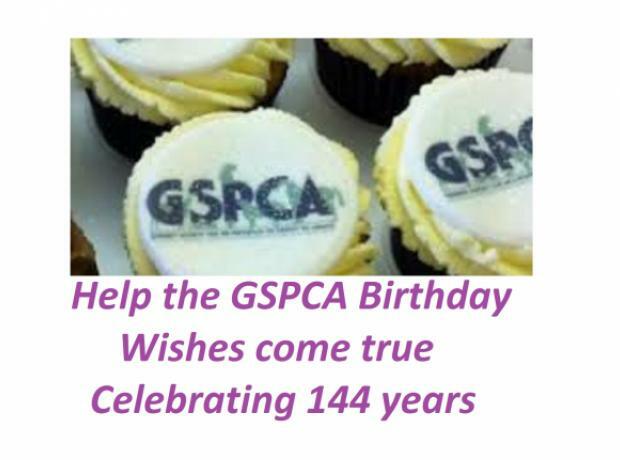 This month the GSPCA celebrates 144 years helping animals in Guernsey and we need your help. We have many essential projects we need to achieve and many animals to care for. With well over 300 animals in our care at any time and a Shelter where we have been based since 1929, each day raising the much needed funds to care for the animals and maintaining the buildings and grounds is a daily challenge. 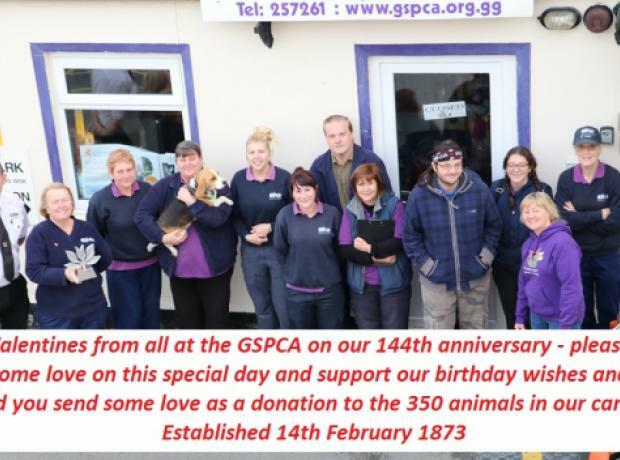 The GSPCA was founded in 1873 and this February to help celebrate 144 years caring for animals in Guernsey we are asking for your help. The GSPCA week starts 10th February and celebrations will carry on until the 17th with our anniversary being Valentines Day the 14th February. 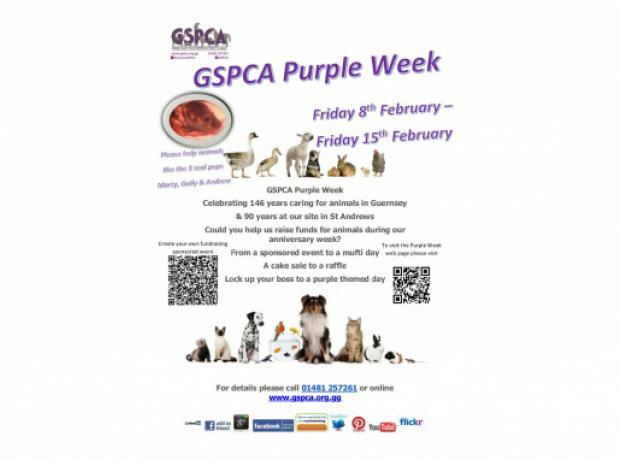 Next week is GSPCA Purple Week and are you running a purple fund raiser?